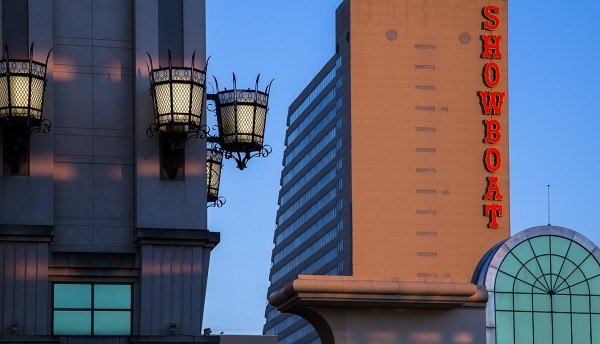 Located on the beach of the famous Atlantic City Boardwalk, The Showboat Hotel is one of the most spectacular hotels in New Jersey, featuring over 1,300 inviting rooms. You’ll love our Mardi Gras-themed casino featuring the loosest slots and hottest table games on the Boardwalk. Enjoy fabulous dining, shopping and live entertainment in our hotel and at the House of Blues. If you’re looking for hot entertainment in a cool environment, all roads lead to Caesars Entertainment, where our exciting Atlantic City hotels and casinos await. 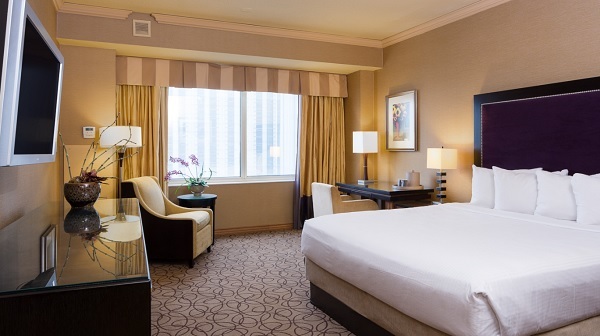 Living up to its nickname, the “Las Vegas of the East,” New Jersey’s Atlantic City is host to world-class lodging and games at Caesars, Bally’s, and Harrah’s Resort, each offering a unique experience for you, your friends and your family. We’ve got Atlantic City hotel deals and discounts plus your inside line on food and wine festivals, free entertainment, world-class concerts, boxing, cooking classes, over-the-top nightlife, luaus and more exciting things to do on the AC Boardwalk. Book your room now at any of our Atlantic City hotels/casinos in the place that’s always turned on: Atlantic City.